The National Famine Commemoration took place in Kilrush, County Clare on 12 May 2013. President Michael D. Higgins led the official representation. Schools around the country held a minute of silent reflection on the Friday preceding the National Famine Commemoration in memory of those who perished or suffered loss during the famine; and Sporting organisations observed a minute of silent reflection at sporting and public events that took place on the day of the National Famine Commemoration. 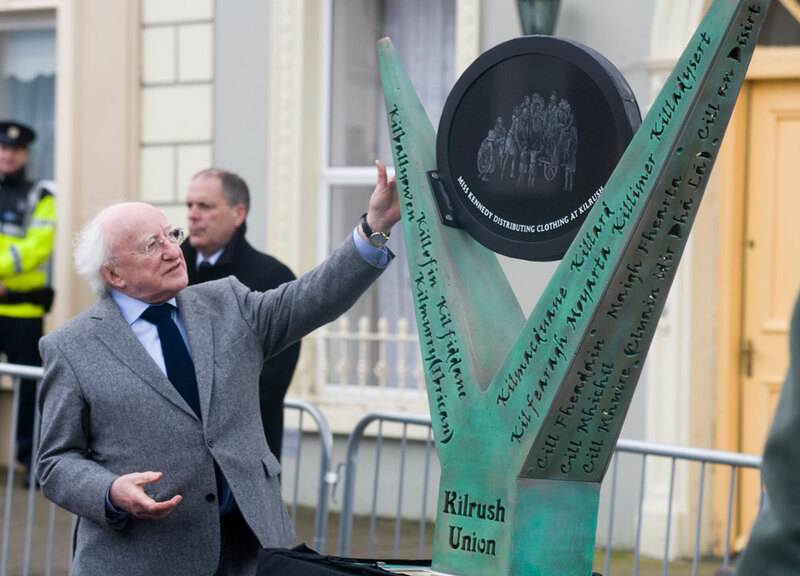 President Michael D. Higgins officiated at the National Famine Commemoration Day event in Kilrush.